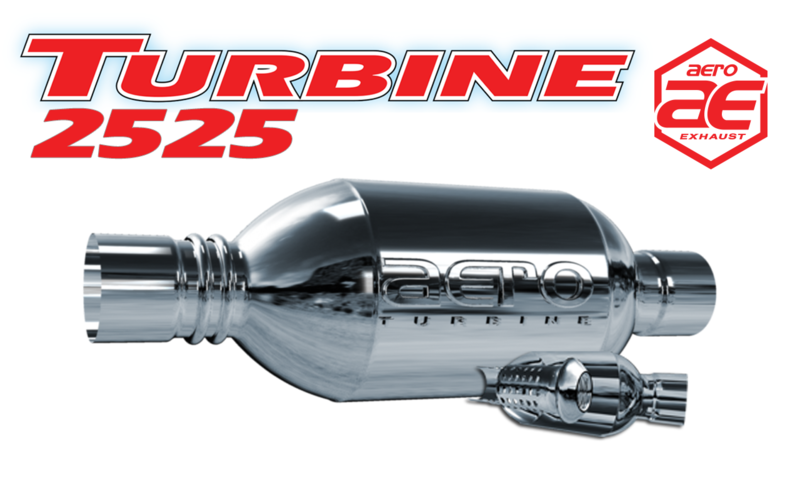 The Aero Turbine Series AT2525 is a 2.5" I.D. Inlet, 2.5" I.D. Outlet Performance Muffler. 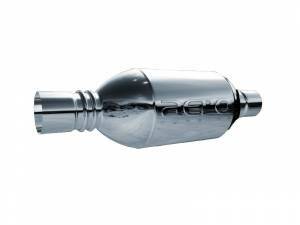 The 2525 was designed for high-output engines, including Toyota Tacoma's, Ford Mustang's and Volkswagen GTI's with 2.5 inch piping. 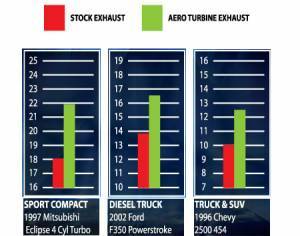 The 2525 was first designed to increase performance on 6cyl and 4cyl turbo cars. As the only muffler to have the patented airfoil technology, the 2525 is the hottest new product on the performance exhaust market today. The AT2525 is considered our most aggressive muffler for 2.5" exhaust pipe. We would recommend our AT2525XL if you are looking for an intermediate tone. 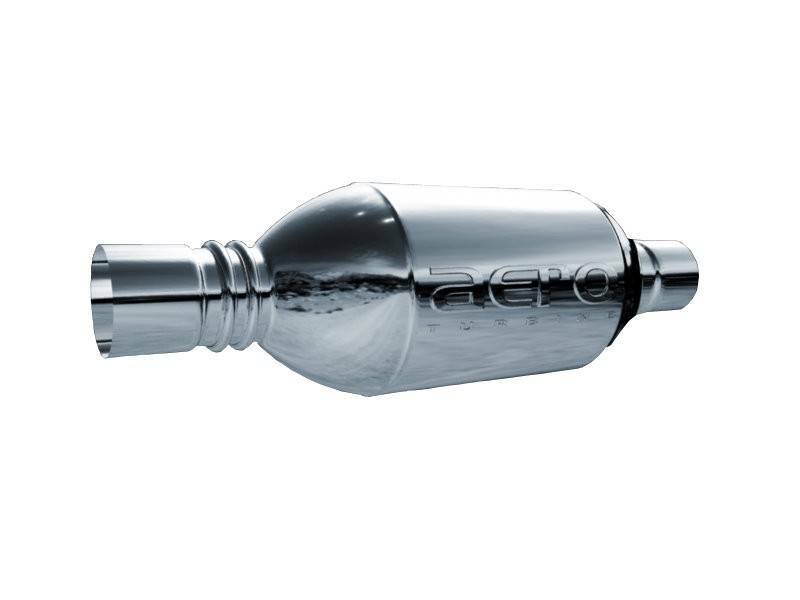 Inlet:2.5" Outlet:2.5" Body Diameter:6" Body length:14" Overall length:20"
AT2525 Performance Muffler Dimensions: Inlet:2.5" Outlet:2.5" Body Diameter:6" Body length:14" Overall length:20"